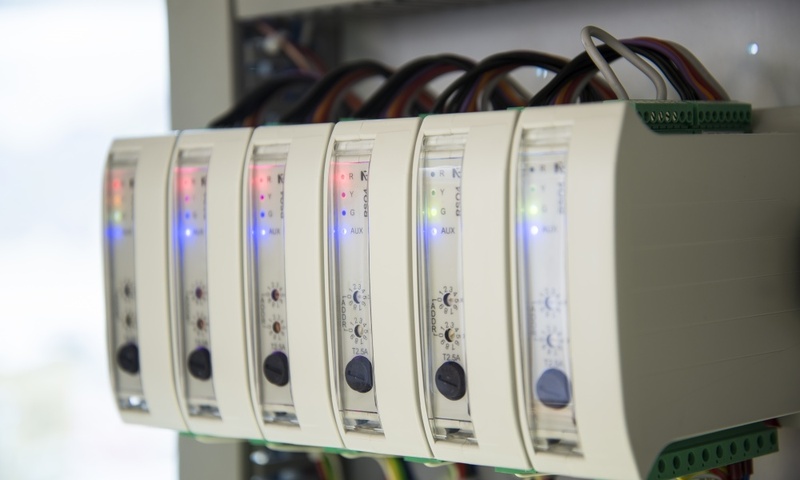 RSO 4 is a 4-channel AC output unit primarily designed for control of traffic light signals (heads) in traffic control systems: intersections, tunnels, toll stations, parking sites, construction sites etc. RSO 4 is a 4-channel AC output unit primarily designed for control of traffic light signals (heads) in traffic control systems: intersections, tunnels, toll stations, parking sites, construction sites etc. Supported are all types of common traffic heads (semaphores): standard light bulbs (up to 200W), halogen lamps with transformers and LED traffic lights (with currents as low as 5 mA). Supported are all types of common traffic heads (semaphores): standard light bulbs (up to 200W), halogen lamps with transformers and LED traffic lights (with currents as low as 5 mA). 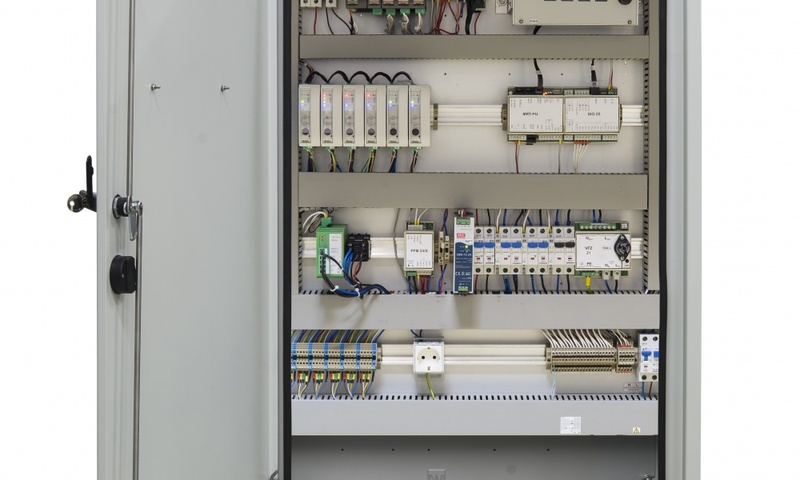 Each output is independently monitored for voltage and current. The voltage range is up to 290V AC with resolution 0.1 V. The current measurement range is up to 1A with 1 mA resolution (and up to 2A with lower resolution). Both measurements can be used for safe and accurate determination of various failure modes of traffic signal (bulb failure, output failure, conflicting voltage...). A powerful micro controller inside RSO 4 unit is used for communication with CAN and RS-485 bus. An open and fully documented protocol is implemented for EN50556-compliant safe use in road traffic signal systems. 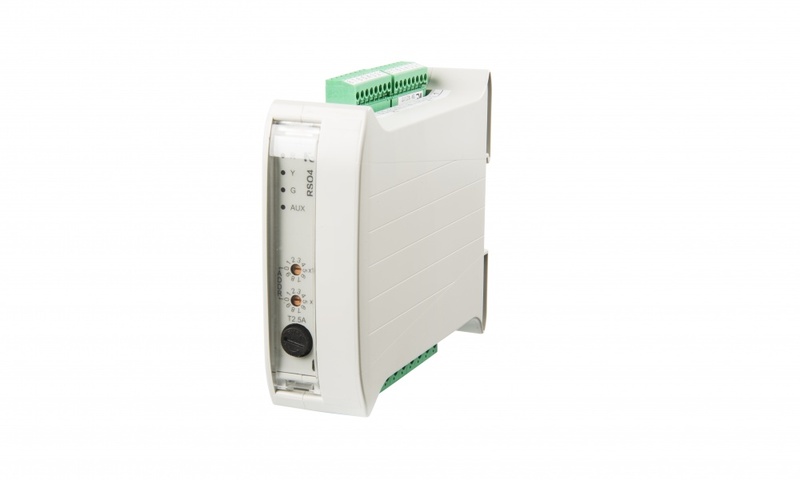 Modbus RTU is also implemented for easy interfacing to PLC-based systems. 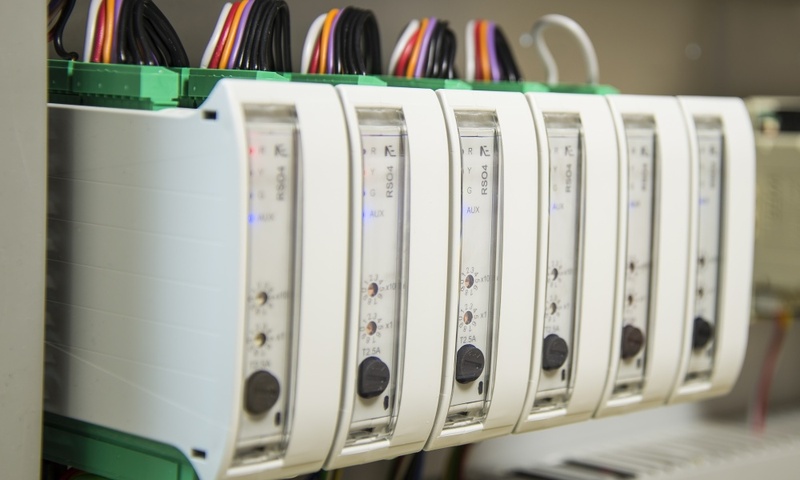 Up to 24 modules (with 96 outputs) may be controlled on a single RS-485 channel. There is no inherent limitation on a number of communication channels which can be used in system. The module is EN 50556 compliant for safe use in road traffic signal systems. RSO 4 has built-in standalone special variants, such as flashing unit in master-slave configuration with fault indication. The module may also be used as a general purpose AC output unit with current and voltage measurement for various low-current applications, such as low power motor drives, lightning, home automation controllers, machine automation controllers, etc. Current capability (per module) 2A sustained, 2.5A max.